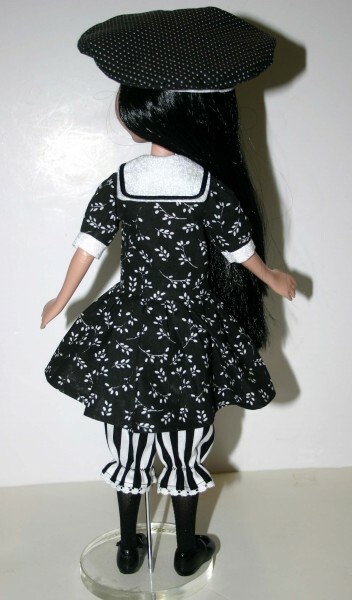 Up for consideration is a pattern to fit Robert Tonner's 15.25" Maudlynne Macabre dolls. The pattern includes a short sleeve middy sailor dress, bloomers, tights and a sailor hat. 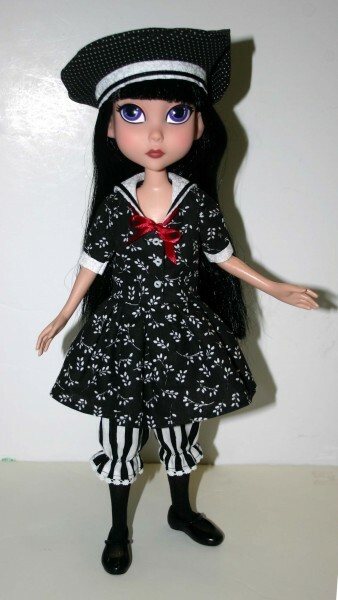 Auction includes the pattern pieces, written instruction and photo of possible outfits. 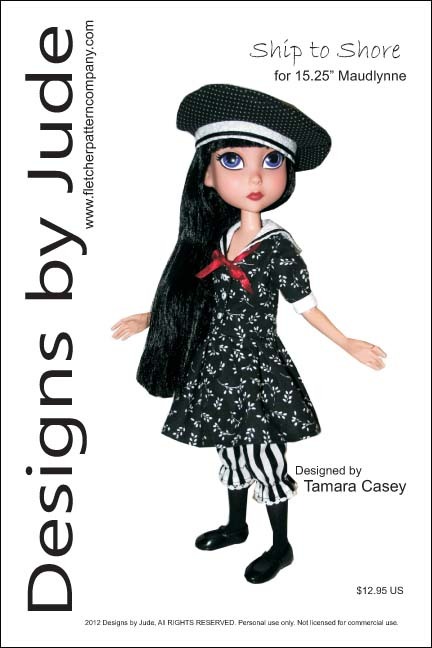 Pattern has been designed to use with cotton, cotton blends blends and similar weight fabrics. 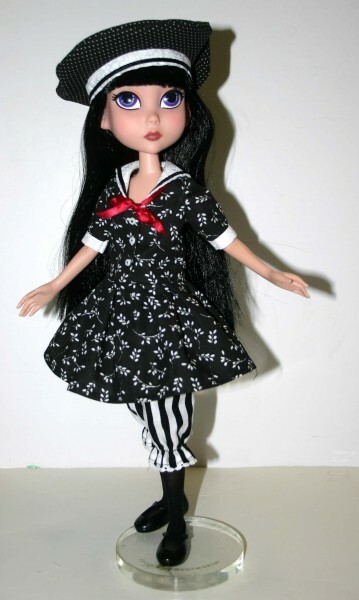 A similar design is also available for the 12" Marley, Ellowyne, Flexi Pose & 43cm BJD dolls. The pdf version of this pattern prints on A4 and 8 1/2 x 14 legal size paper.